If you were to walk onto most if not all college campuses today you would notice that unified Communications (UC) are taking over. 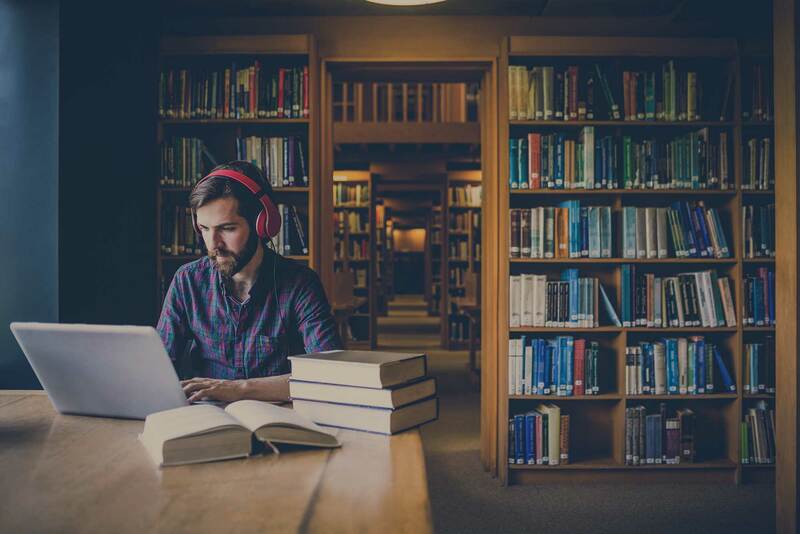 Whether it's with VoIP, video conferencing, telehealth, and online based courses (some of which are live streamed), today's higher education landscape is relying more and more on wireless technology to satisfy their users increasing expectations. Embracing UC doesn't have to impact the rest of your school's operations, cause faculty complaints, or cost you more money. However, at this level of complexity, and constant demands, it's easy to get overwhelmed. To help you deliver maximum UC performance and realize a greater return on your investment, here are 5 facts about unified communications that you can't ignore. Did you know that 60% of IT professionals site Quality of Experience (QoE) problems as the main component affecting the ROI of their school's UC investment. The whole point of Unified Communications in higher education is to help faculty members, students, and visitors communicate and collaborate throughout the campus to maximize success, thus positively affecting the user experience. Unfortunately, sometimes intentions do not equate to actuality. Whether it's a weak signal, blurred video conferencing, or delayed audio, there are many issues that hinder individuals embracing UC. We all know, if something doesn't work properly, people are pretty quick to dismiss it and never look back. The key to seeing any ROI from any UC deployment is that it actually works and people want to use it. If your students, guests or faculty members aren't actually using the technology, it essentially becomes a waste of time and a lot of money. We're all aware of human error, it is inevitable, but the majority of QoE problems are largely because of your network's infrastructure. This could be from misconfiguration, lack of proper equipment, or a poor design. Things like bandwidth or latency can directly impact both VoIP and video performance. On today's college and university campuses everyone expects a high quality experience, but it isn’t always as easy as simply plugging it in and turning it on. Adding more bandwidth costs a lot, and campus wireless networks are only getting more complex, when you add increasing numbers of devices, and the continuous expansion of richer content, network managers don't have it easy. To be successful it takes constant monitoring of your network's infrastructure and performance levels, both are essential to maintaining an optimal UC experience. When technical difficulties occur in UC applications, throwing more bandwidth at the problem becomes the first line of defense. However, this is not always the best solution (or even possible in some cases) due to costs and tight budgets. Frankly, in many cases there's usually an easier fix. It all comes down to having dynamic polices in place, sometimes referred to as bandwidth shaping. You need to have visibility and control of how your bandwidth is allocated, i.e. to what types of users, for what applications and at what time of day (if you choose). Bandwidth management allows dedicated amounts of bandwidth to specific users and applications by prioritizing some over others. With the right policies in place you can often times eliminate your wireless performance problems and UC issues without wasting your budget on a bigger pipe. Technology today has evolved to the point where real-time monitoring is possible and in the case of campus unified communication applications is essential for maximum performance. Having a view that shows the collaboration of all of your processes together becomes a modern day crystal ball into avoiding errors and proactively solving problems before they become a massive issue and headache. Best of all, you can often fix them before other faculty, students, or c-suite level employees even know they’ve occurred. Suggested Reading: "Unique Answer to Solving Your Wi-Fi Performance Problems for Good"
Higher education is a busy environment with all kinds of applications all competing for your network's resources, which means you need visibility that's easy to use and understand giving you the ability to stop guessing. You obviously want your Unified Communication applications to run smoothly on an ongoing basis, but it doesn't mean they should negatively impact other mission critical processes. Proper network management means you can allocate or create policies that give proper bandwidth to your faculty to run online tests but still have the right amounts of bandwidth so your students can access the internet or go on social media. You can strategically limit bandwidth amounts during specific times of day even, allowing faculty or students to have a window of time to use applications such as Netflix, YouTube, or other streaming services that are data hungry, guaranteeing that all of your applications have the resources they need when they need them..
With college and university networks becoming some of the most advanced and complex in the world it takes the right strategy and the right tools to successfully support it all. If you have any questions about your network's performance or the overall health of your campus wifi network please contact us here.